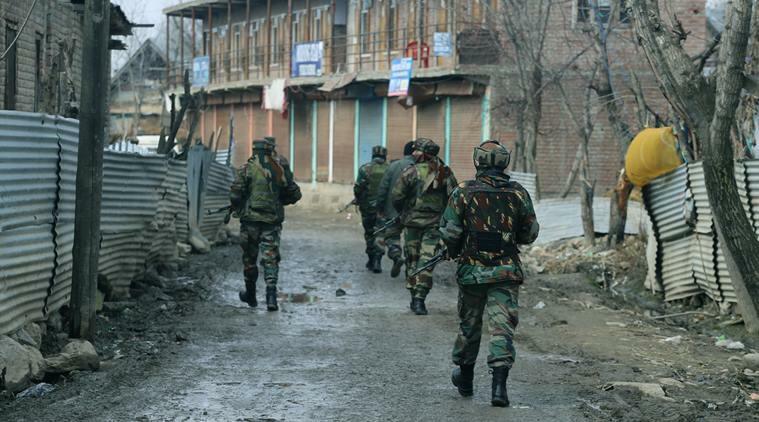 Srinagar, Feb 10 : Five militants were killed in an encounter which ensued after security forces launched a Cordon and Search Operation (CASO) in south Kashmir district of Kulgam on Sunday morning. About a dozen people were injured in clashes with security forces near the encounter site in Kulgam, where mobile internet service has been suspended to prevent the spread of rumours. They said two more militants were trapped in the area, adding the duo took shelter in a nearby house. “The duo was also gunned down, taking to a total number of ultras killed in the encounter to five,” they added.